The Cathedral of the Good Shepherd and The Warehouse Hotel yesterday picked up this year's Architectural Heritage Awards. The honours, conferred by the Urban Redevelopment Authority (URA), recognise the high standard of restoration work done on the two heritage buildings. The Red House received a special mention for retaining a familiar social memory of the Katong landmark, through its use as a local cafe. The URA said in a statement that the winners had gone the extra mile, delving into the history and stories behind the buildings. Their heritage is also kept alive through storytelling methods, such as on-site storyboards and a heritage gallery. 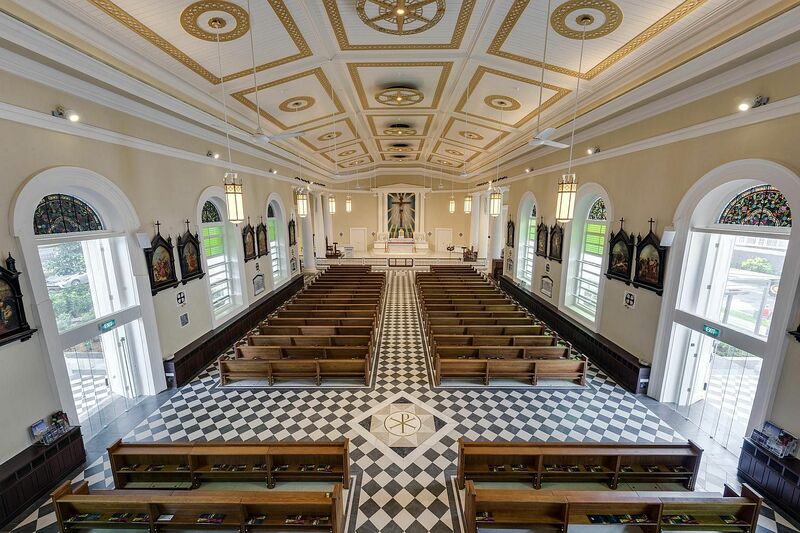 Winning this year's award for restoration of the Cathedral of the Good Shepherd - built in 1847 in Queen Street, and the oldest Catholic church here - is a team that includes the building's owner, the Titular Roman Catholic Archbishop of Singapore, the legal entity of the Catholic Church here. View of the nave from the choir loft in Cathedral of the Good Shepherd. Others in the team are architectural firm Architects 61, engineering firm ECAS Consultants, contractor Shanghai Chong Kee Furniture & Construction, and architectural conservation specialist consultancy Studio Lapis. The awards assessment committee noted that many of the cathedral's original architectural elements had been successfully reinstated and given a new lease of life. Said Ms Serena Tan, 45, associate principal of Architects 61: "Our overarching aim was to retain the dignity and beauty of the historic church and its buildings." 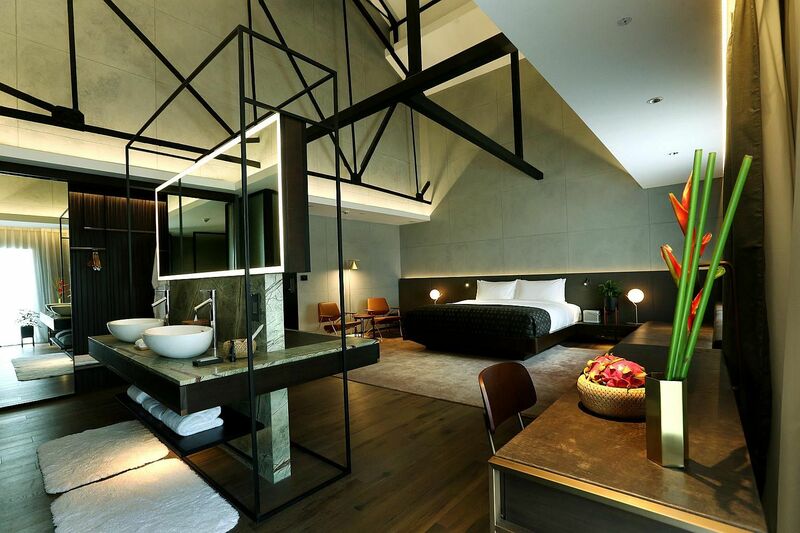 The team behind The Warehouse Hotel, a former godown along the Singapore River that has been reborn as a boutique hotel, won the award for restoration and innovation. 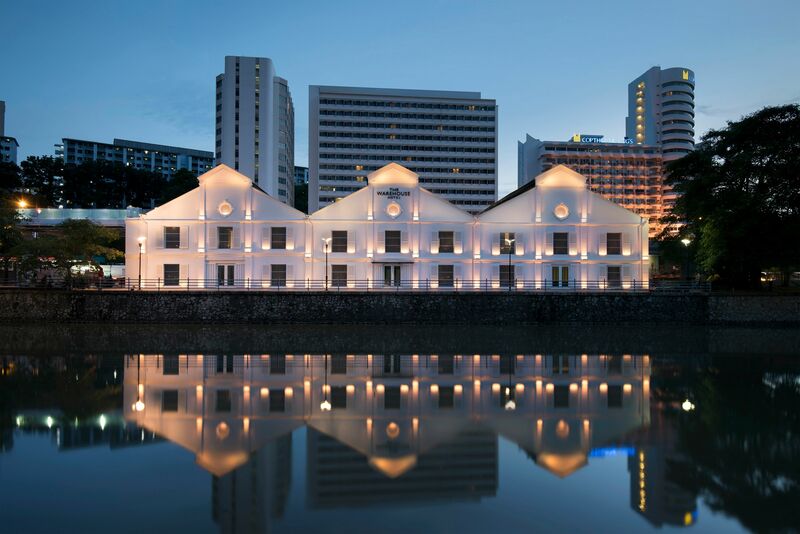 Consisting of building owner I Hotel, architecture studio Zarch Collaboratives, engineering firm JS Tan Consultants and contractor Towner Construction, the team was praised by the URA for bringing out the heritage of the warehouse and Singapore River, while adapting the building to a new use. Said Mr Cheong Keng Hooi, 64, the sole director of I Hotel, and the hotel's owner: "In my younger days, I walked by this building and always found its architecture to be interesting and worth preserving." The Red House, now an integrated heritage development consisting of 42 residential units, five commercial shophouses and a bakery-cafe, at the site of the former Red House Bakery, was given a special mention for re-establishing some memorable and intangible elements of Katong's heritage at 75 East Coast Road. Said the URA: "Besides keeping the iconic red colour of the building, the owners deliberately set out to source a new tenant who operates the same nature of business - a local cafe." Building owners and architects of the winning projects received prizes from Second Minister for National Development Desmond Lee at a ceremony at the cathedral. An open-concept bathroom in the The Warehouse Hotel in Havelock Road. The URA has also launched the inaugural Architectural Heritage Season, a month-long celebration of Singapore's built heritage that starts today. The line-up includes talks, exhibitions and tours.